Smart TV Aerials can provide an Integrated Reception System to supply and serve any number of dwellings. An IRS system means that one system supplies a number of TV services such as Freeview, DAB & FM Radio, Sky+HD, SkyQ and foreign satellite services to all dwellings. Installing an IRS system to your property will benefit you and the residents alike. Residents would no longer need their own dish and no one likes to see a property covered in dishes. Properties with IRS systems installed will also attract higher rental income. Whether we are installing a new IRS system or servicing, repairing or replacing an existing one, you can rest assured that you’ll be receiving the best equipment and components that are available. We will always use the highest quality brands in the marketplace. Installing IRS means that the resident is free to decide to connect their existing TV equipment to the system, and to take up the free or subscription TV services available now or in the future. This solution means that the landlord installing IRS does not have to favour any one particular supplier of TV programming. The choice is left to the resident. 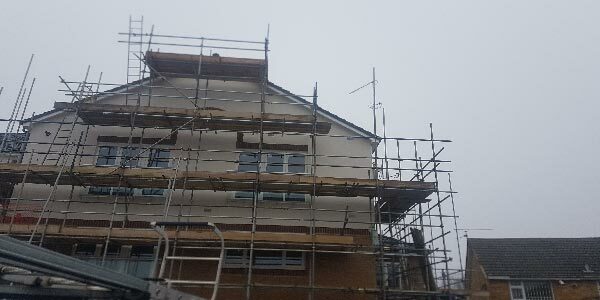 Engaging a company to work on a block of flats is perhaps an even more difficult decision than calling one to your home because there are so many more people who can potentially be affected. Smart TV Aerials stand out in every respect, from the quality of the work through to their tidiness, politeness and punctuality. In addition we have a dedicated servicing and repairs team who try to operate on a “same day solve” basis for all our commercial clients; Smart TV Aerials will get to you quickly and we carry a huge range of spares that will get your tenants viewing back to normal and stop your phone ringing in no time at all. 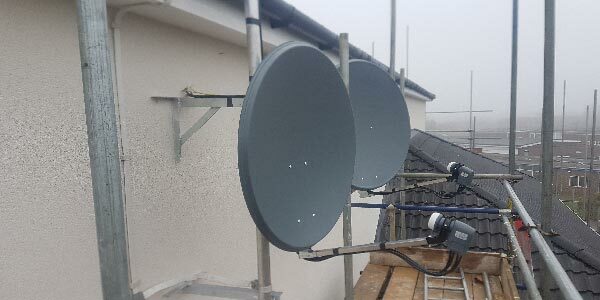 Smart TV Aerials can install multiple Satellite systems depending on your residents requirements, From SKY to HOTBIRD we have the solution. Are you currently missing out on securing TV / IRS tenders as you currently have no trust worthy experienced TV contractors? Smart TV Aerials Bedfordshire have the perfect solution for you, we can design install and maintain all TV / communal systems. We provide free quotations on all new or existing projects and have a vast knowledge and expertise to ensure your time is never wasted. What’s Included in a Communal Aerial Installation? Serving a Wide Range of Clients. IRS technology benefits a number of potential customers. Whether you are a private landlord, hotel owner, a commercial builder, a local authority, architects and consultants or a housing association Smart TV Aerials has the competence and expertise to deliver on all of your IRS requirements. We are based in the Bedfordshire and we can provide your premises with a fully Integrated Reception System. If you are looking for other options then we can also supply and fit MATV, SMATV and CCTV services.